In this day and age of modern sensibilities it has become increasingly common to seek “green” or eco friendly cleaning alternatives and to avoid and eschew the more abrasive and harsh cleaning chemicals that are widely in use today. With the increasing awareness of the effects of traditional chemical cleaners and the movement towards more environmentally conscious and friendly cleaning agents it is now quite common to find professional house cleaners offering green home cleaning options. This is great news for those homeowners who would like to hire professional house cleaners, but are hesitating because they are wary of the chemical cleaners typically used in the cleaning process. It never hurts to ask the potential house cleaning company if they offer or carry the option for green home cleaning as many often do offer this option; and are able to help you narrow down exactly what you want for your house cleaning needs. The variation of what constitutes green cleaning can be a bit nebulous in our modern world. 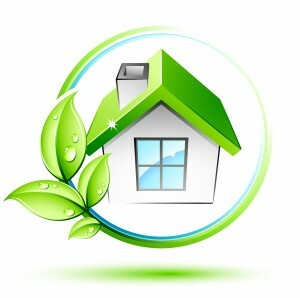 Green home cleaning does not necessarily mean that there are no industrial chemicals involved. It may simply mean that the chemicals used in the cleaning agents have been certified to be environmentally safe and friendly. When talking to your cleaning company about using green home cleaning agents be sure to clarify what you mean by the term green. If you simply want environmentally friendly chemicals, then they will be sure to meet that request with diligence. If, however, you mean something more by the term “green” then it is essential to be more specific about how you want your house cleaned and what your expectation with an environmentally friendly cleaning agent entails. Taking the concept of green home cleaning one step further may land you in the territory of organic cleaning agents. Industrial grade chemical cleaners, such as those used in most cleaning applications and agents, can be harsh on skin and can be undesirable, especially in houses with children or pets, or even if you just have sensitive, delicate skin. Green home cleaning does not necessarily imply organic cleaning agents, so if this is your desire then be sure to communicate with your cleaning people to ensure that they are using the types of cleaning agents you want in your home. Our expert cleaners will be more than happy to make the necessary accommodations to keep you and your loved ones, be they human or pets, safe and healthy, comfortable in the clean environment of your home. Green house keeping is becoming more widespread in the modern era, and is more available to the modern homeowner than ever before. However, even as awareness of green home cleaning and the necessity for environmental friendly solutions increase, the definition of “green” can sometimes remain unclear. It is essential to communicate with your cleaning company so they can meet your needs as best as possible. Our cleaners are trained and equipped to clean your home your way so that you can feel safe and comfortable, know your house has been cleaned to a high standard with cleaning agents you approve of. The less you have to worry about the cleanliness of your house the more you can focus on what really matters in life. Let the cleaning matter to us, and the life matter to you. Green home cleaning has become a viable and attractive option for the modern homeowner, so talk with your cleaning company today to take advantage of their green selection.